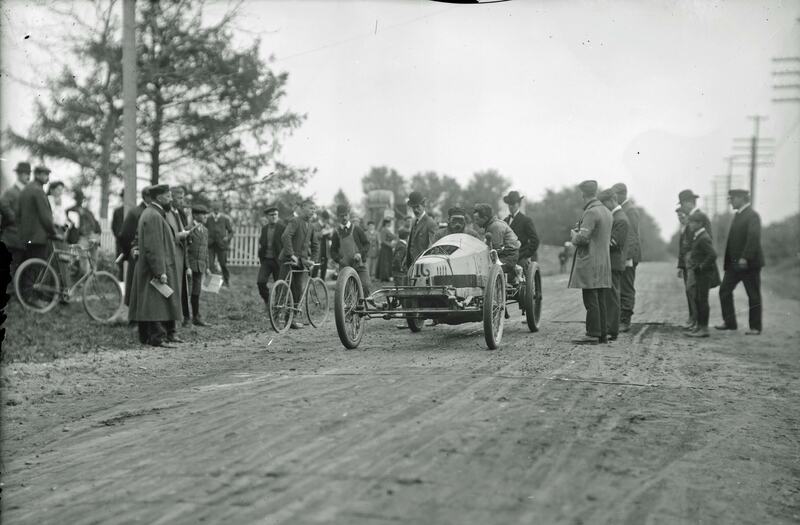 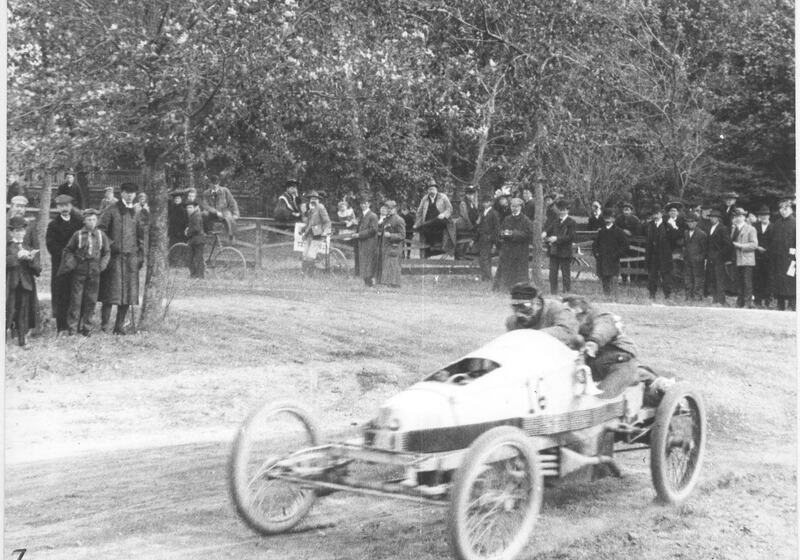 Vanderbilt Cup Races - Blog - CSI Challenge: How Many People Attended the 1904 Vanderbilt Cup Race? 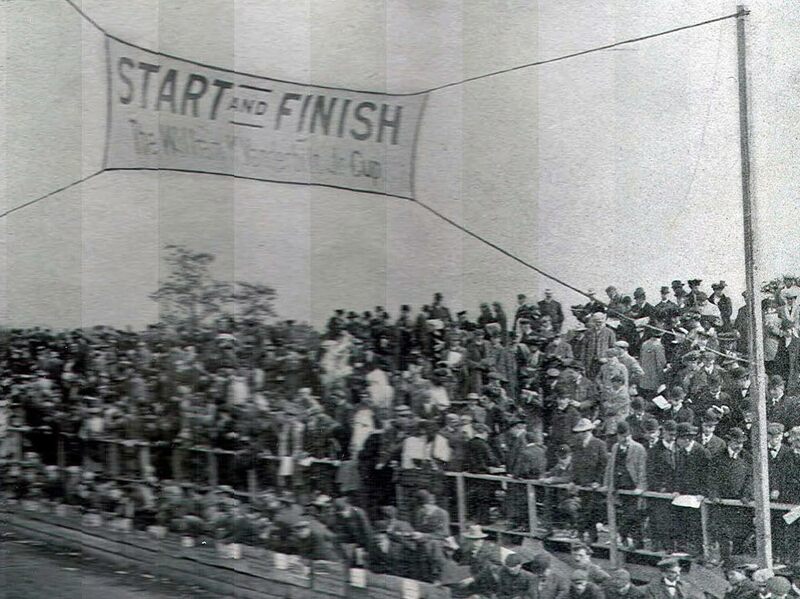 Insight into the actual attendance can be gained form the hundreds of photographs taken over the 30.24-mile course. 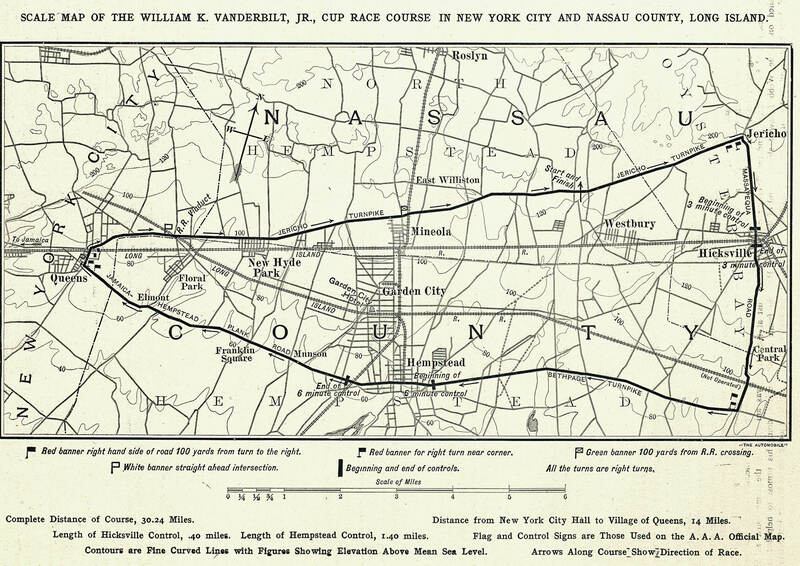 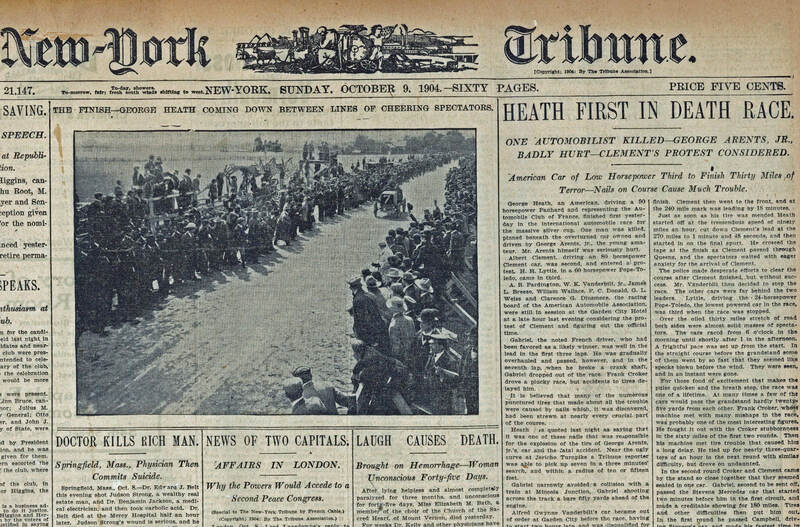 The highest concentation of spectators were at the Westbury start-finish line and grandstand, the Hicksville and Hempstead controls, and turns in Jericho and Queens. 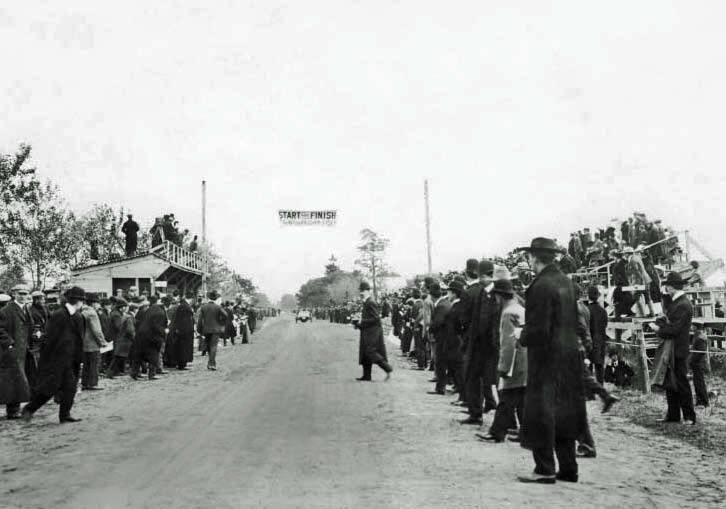 Two wooden stands, one for spectators, the other for press and officials, were completed the week of the event. 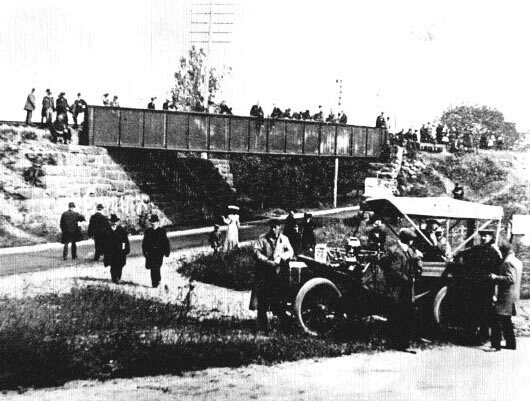 The spectator grandstand had a capacity for 978 persons with 480 individual seats, and 83 boxes seating six each.The grandstand stretched 200 feet, with a heavy, solid bulwark 4 feet in front of it to protect spectators from errant cars. 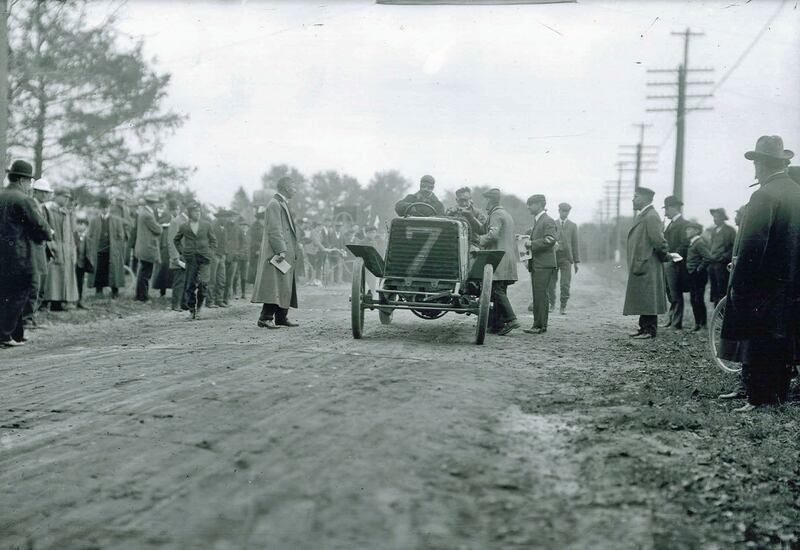 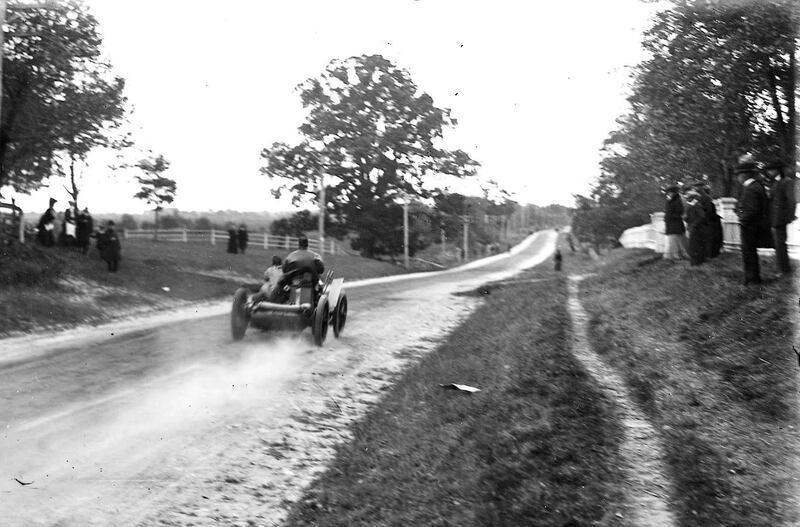 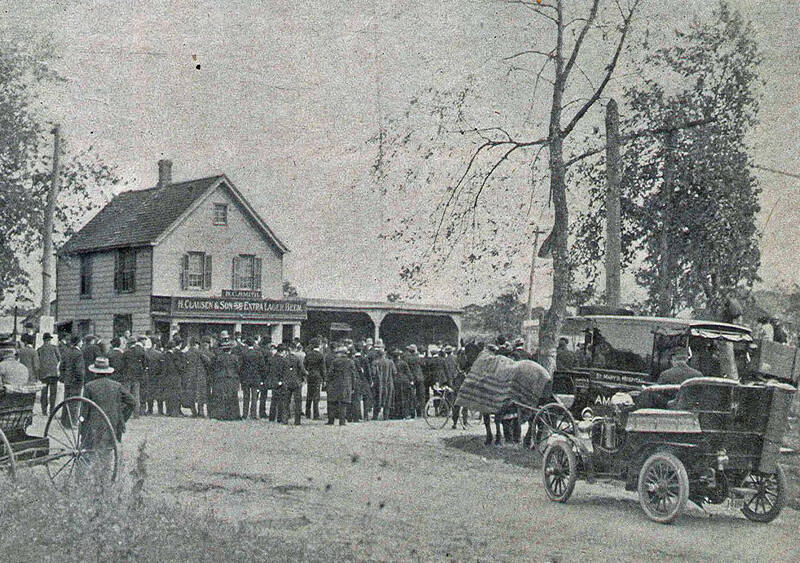 Just west of the grandstand, a large crowd stood on both sides of Jericho Turnpike to watch the race. 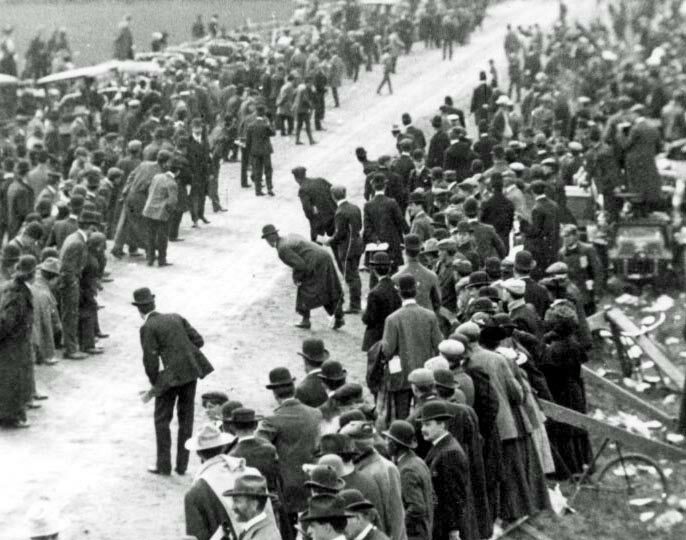 Sometimes, they walked in the middle of the course. 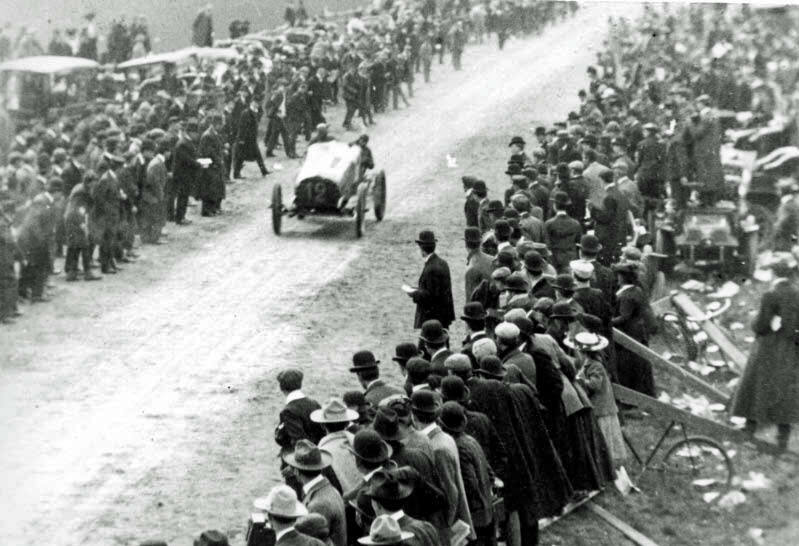 The best estimate is that 3,500 to 5,000 people watched the race around the grandstand area. 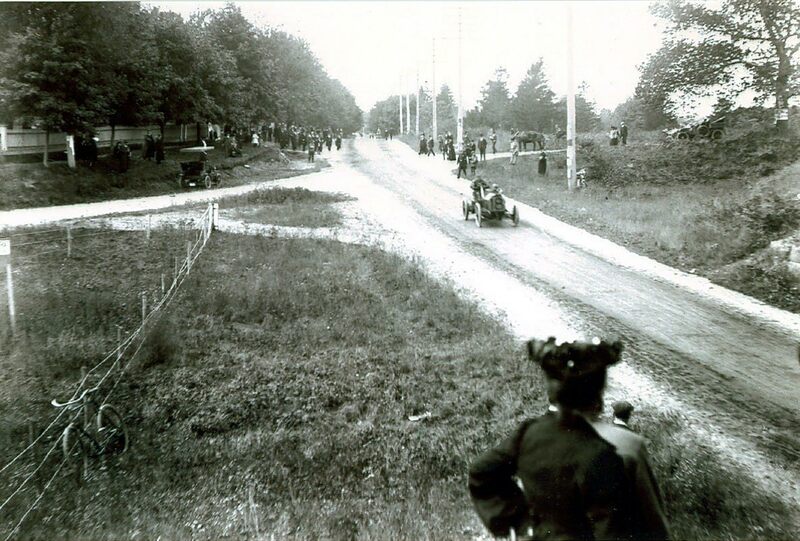 Photographic evidence also suggests that the clusters in the turns and controls ranged between 250 and 500 people. 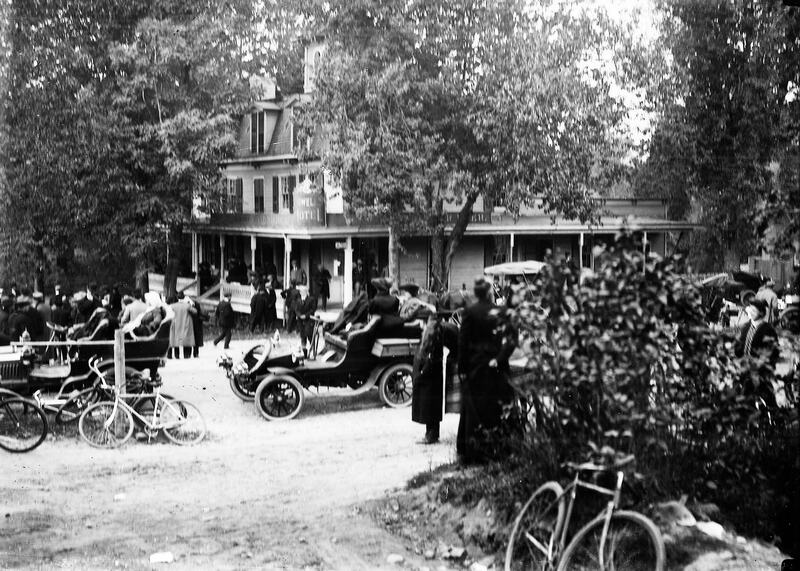 Reports further indicate that there were at least some spectators around the entire perimeter (150 to 200 people per mile). 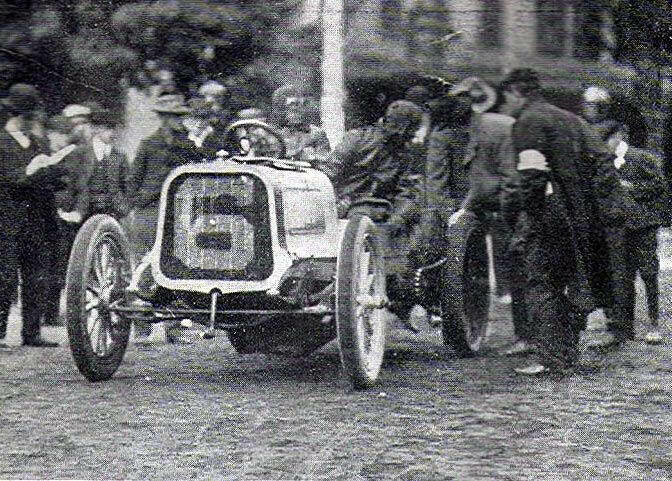 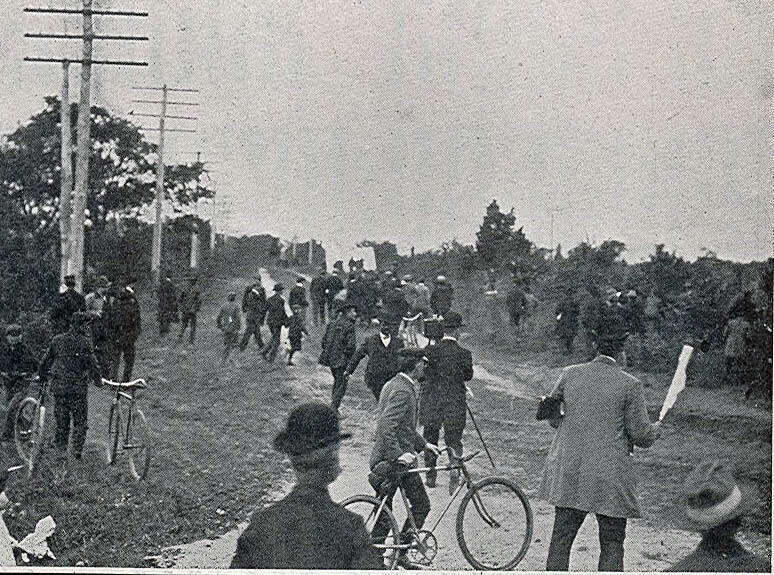 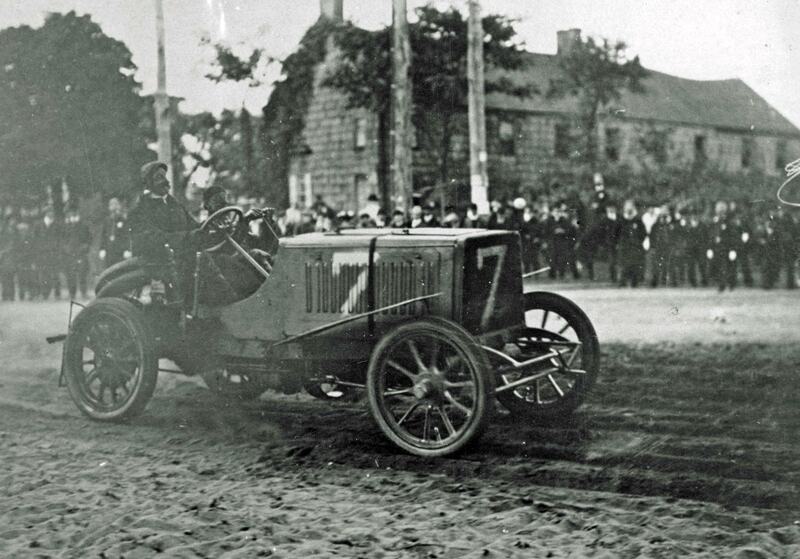 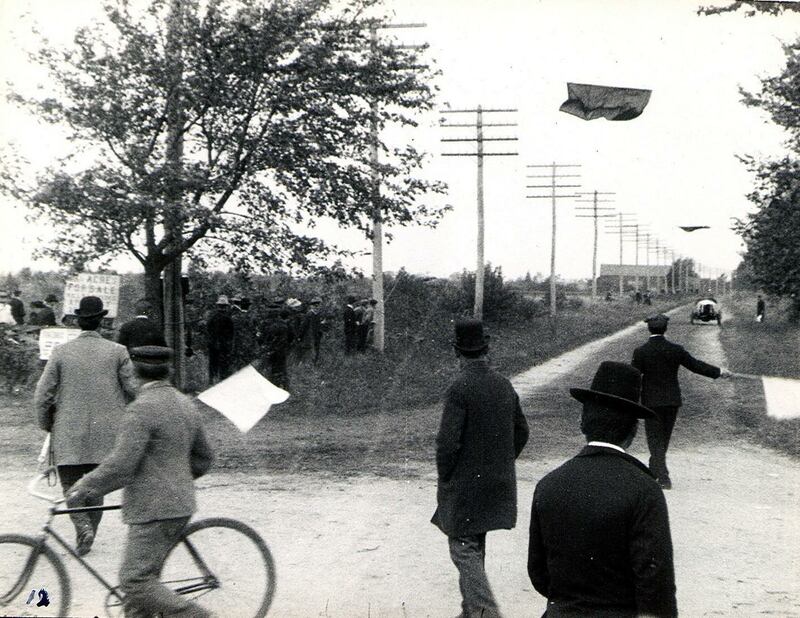 The total attendance for the 1904 race is further clouded by the fact that it took over seven hours to run, so it is safe to assume that many people came and left throughout the day. 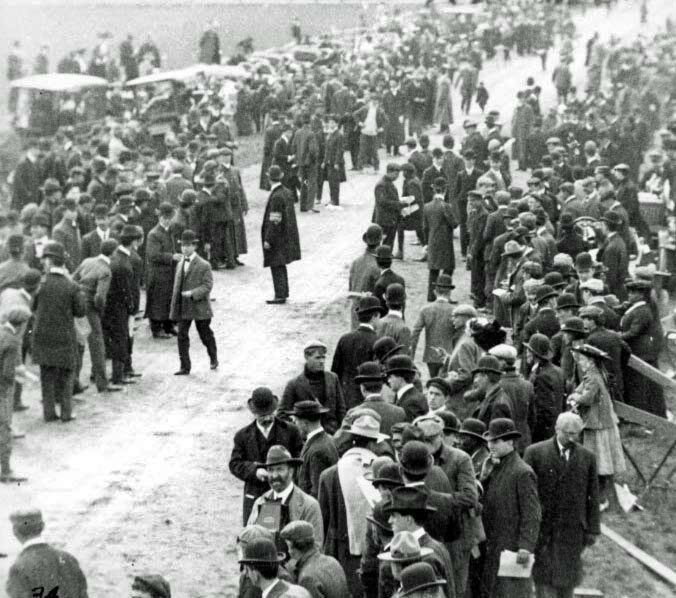 Accordingly, a reasonable estimate of the number of people who saw a portion of the 1904 race is between 17,000 and 25,000. 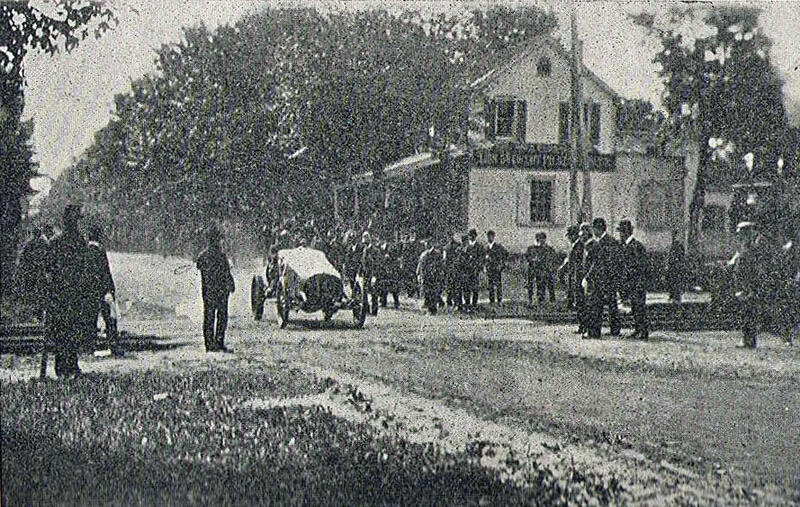 Film "1904 Vanderbilt Cup Race" showing the crowds at the Westbury grandstand and the Massapequa Turn.